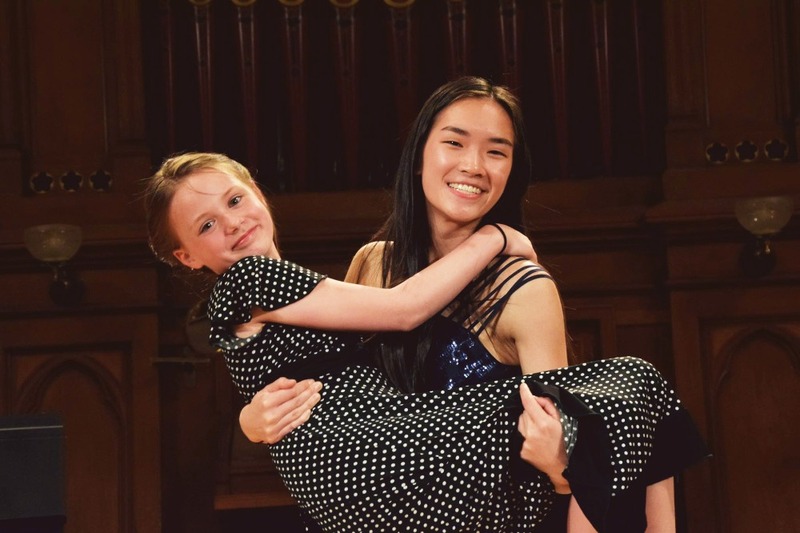 Project Prelude is a student-run nonprofit organization that aims to expand the accessibility of music education. We do this by running free group and private lesson programs for economically disadvantaged youth. 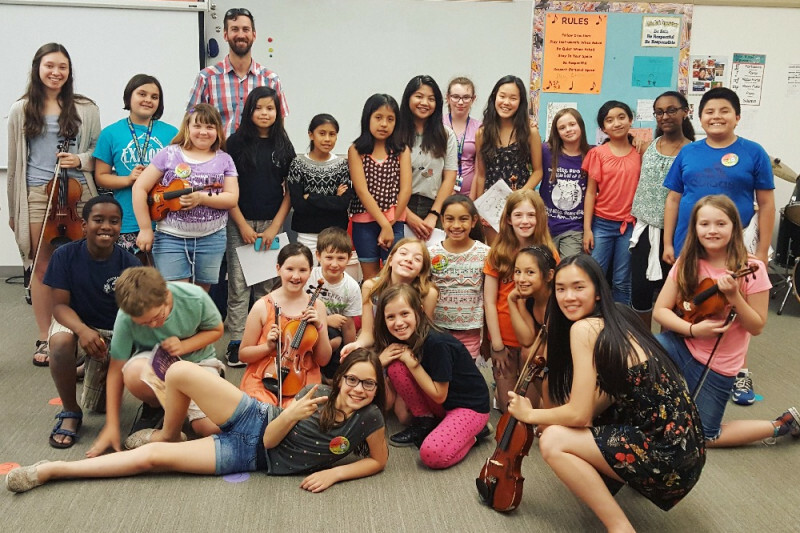 Last year, we successfully taught 25 fourth and fifth graders at Aloha-Huber Park K-8 School how to play the violin. 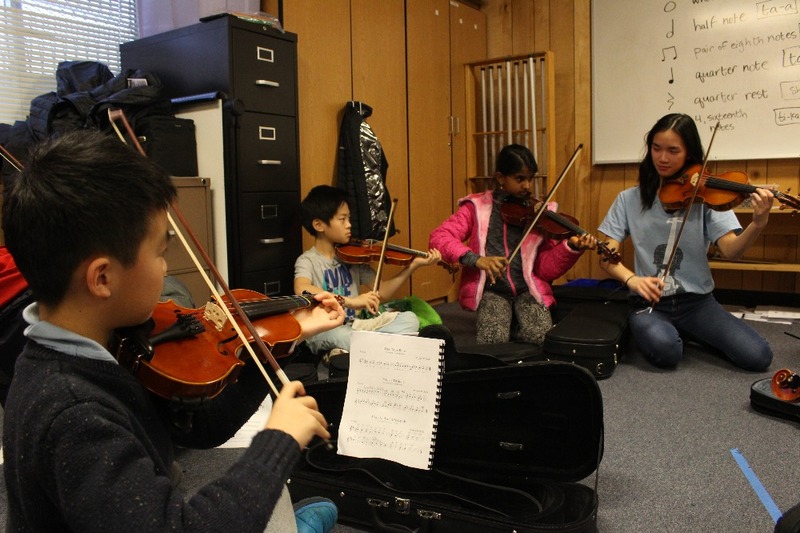 82% of the students at Aloha-Huber are economically disadvantaged, and many told us that they otherwise wouldn't have been able to take music lessons. We were able to provide the classes for absolutely no-cost. Each student received music books, supplies, and their own instrument to play in class and take home to practice. All of our program teachers were high school volunteers who had extensive music experience and were enthusiastic about sharing their knowledge with others. We ended the year with a final concert in which our students showed off the skills that they learned during the year! This year, we have expanded to two more schools: McKinley Elementary School and Raleigh Hills K-8 School. We are teaching both flute and violin now. We have a huge amount of interest in our program, and we are now teaching more than 140 students total! We have also involved more than 30 volunteers! Unfortunately, because of this unprecedented amount of student interest, we are experiencing a shortage of instruments. 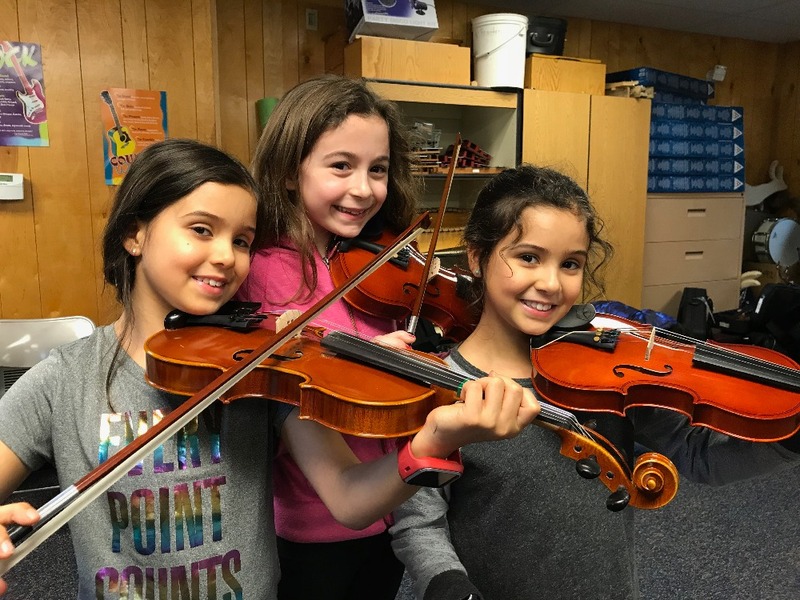 Each dollar you donate will go directly to providing students with instruments and supplies, to making the private lesson program possible, or to supporting the end-of-the-year concerts that we hold to highlight our students' achievements. Our fiscal sponsor is the Metropolitan Youth Symphony, which means that your donations will also be tax-deductible. 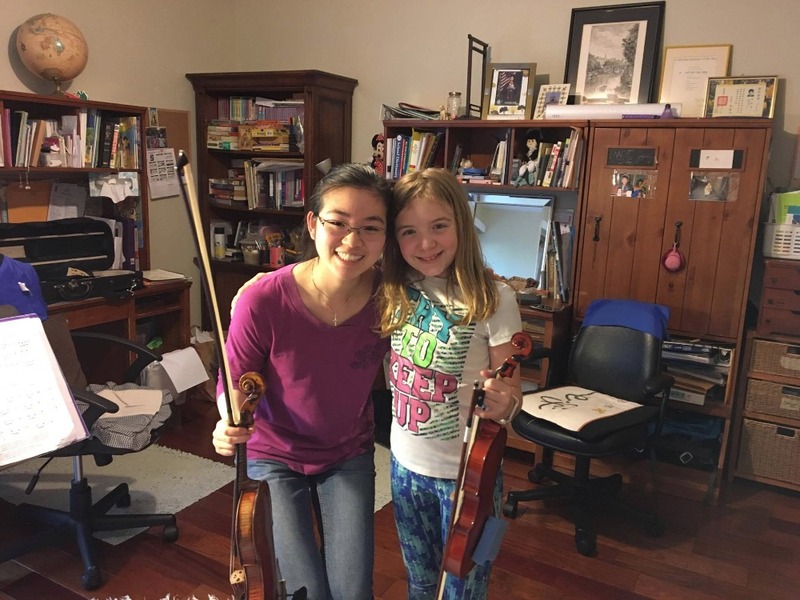 We also run a private lesson program, in which students are able to take private violin lessons from experienced musicians for free. 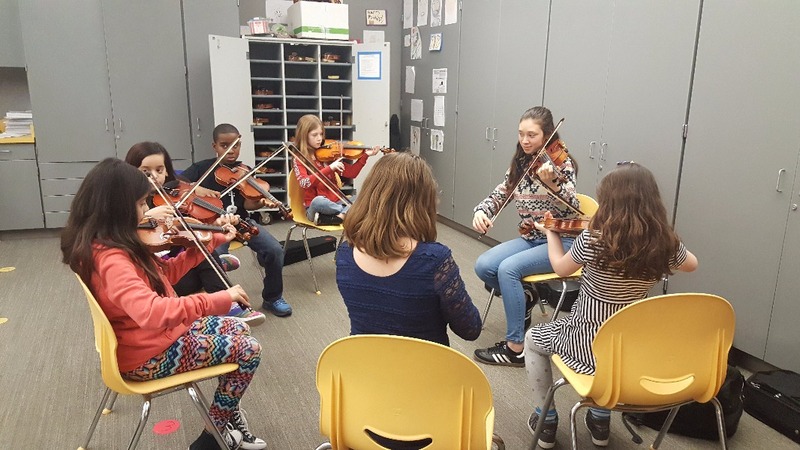 Here's what the music teacher at Aloha-Huber that we worked with said about our program: "The growth of the students over the course of the year was amazing. Many started off with very little experience on the violin, and were not used to performing as an ensemble. The students learned many different songs and variations, and learned how to play together and give constructive feedback to each other. 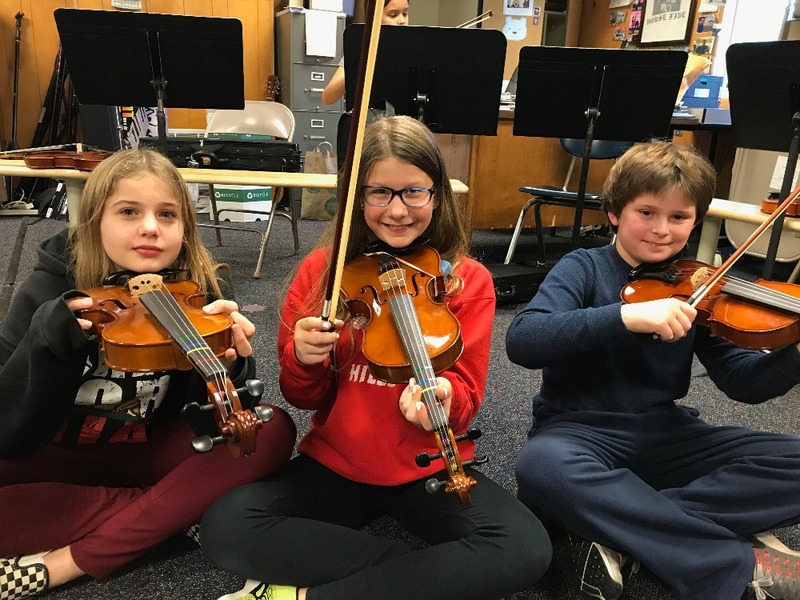 This was a wonderful opportunity for the students to perform in small groups with their teacher and demonstrate all of the music they had learned to play. The students were clearly excited and proud of how far they had come and were delighted to perform for their families. The students were so sad when the program ended and they had to return their instruments." A parent of one of our students also wrote, "The enthusiasm that the kids developed for music and strings over the year was evident. The high school students that taught were clearly passionate. They created a great program for the kids." Thank you to everyone for your generous contributions! The students are really enjoying the instruments that your donations made possible. They've been practicing at home and learning quickly during class. Again, thank you so much for your generosity—we really appreciate it!